An overnight stay at the Legendary Y.O. Headquarters provides a touch of the past but with all of the modern comforts of home! 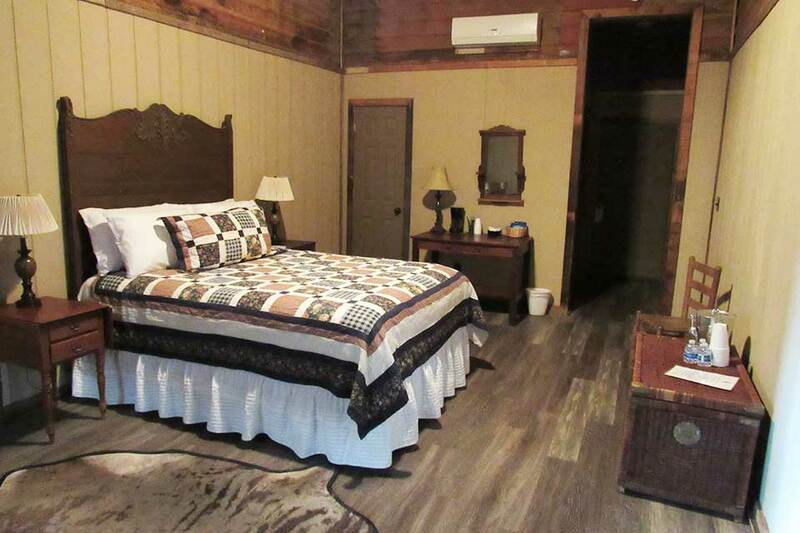 We have cabins and rooms to suit everyone’s needs, some of which date back to the 1880’s. Most have massive stone fireplaces, all have heating and air conditioning. Click here to view our lodging options! What are you waiting for? Book your stay with us here at Y.O. Ranch Headquarters today! The price per night is $175 per adult, which includes 3 meals and an open bar in the evening at our lodge. Children age 4-12 are half price. The Lodge is the centerpiece of Y.O. Headquarters’ nightlife where you and your friends can relax with drinks by the fireplace.The lodge is a place where you can enjoy cocktails and conversation about your day’s activities. Play a little pool or catch a movie on our big screen TV. Our chuckwagon offers great tasting, home cooked meals to appease any appetite. An overnight stay at Y.O. 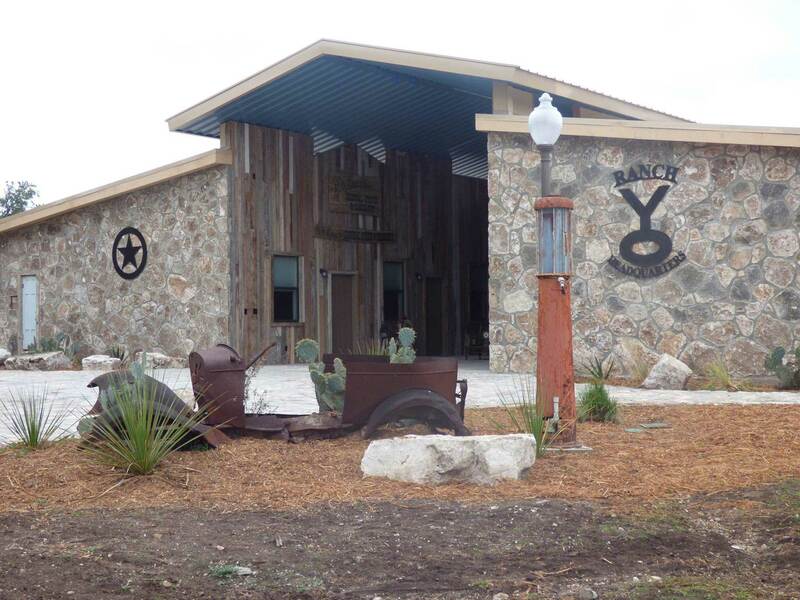 Ranch Headquarters will include dinner the night of check in, and breakfast and lunch the next day! Complete with a waterfall and swim up bar, the Y.O. 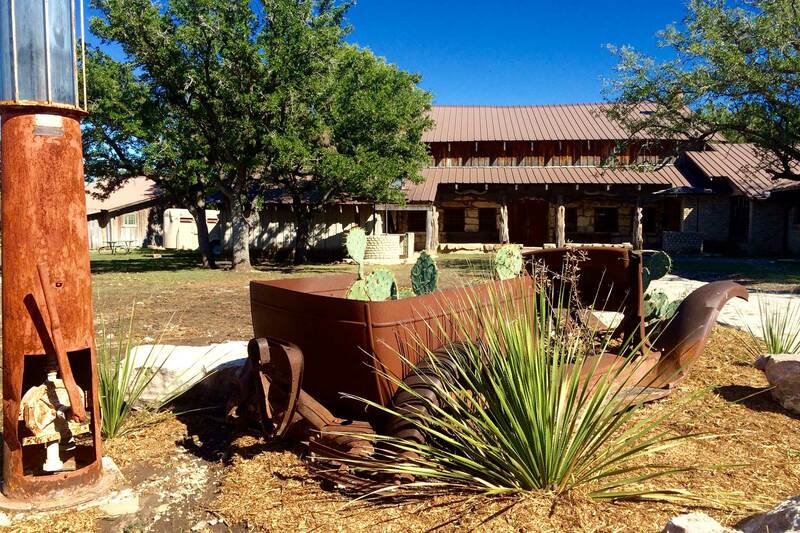 Ranch Headquarters pool is a great place to get away from the Texas heat! Too cool to swim? Our hot tub is always on!